We come to work every day because we want to improve the quality of healthcare by empowering people on the front line. Our product portfolio is focused on the best technology available, and we're focused on delivering it to people with an amazing customer experience. 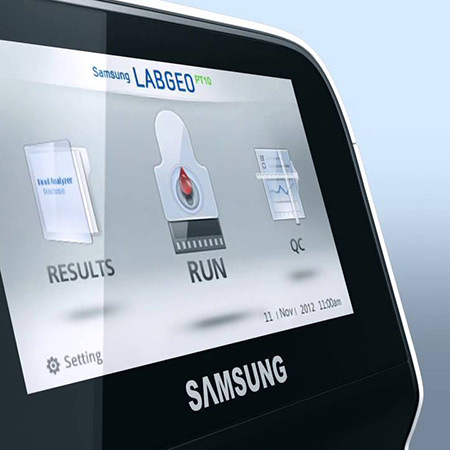 Medical devices have come a long way and a lot has changed since we launched in 1995 – nowadays, laboratory quality results can be attained on the spot, in a matter of minutes. But just like buying a toothbrush, there's lots of choice and little direction, which is where POCD come in. We meticulously research and source the best medical technology in the world, and then bring it to Australasia. If it's on our website you can relax – you've found the right product for your needs. Our history speaks for itself – POCD was the first company to introduce drug tests into Australia and we continue to innovate. For example, Sensocard is the only talking blood glucose monitor available on the market and mLabs facilitates Medicare funding for point of care testing in general practice. Thinking outside the box is what we do! When you buy from us you'll experience a level of support and expertise that you won't find elsewhere – as far as we're concerned, it marks the beginning of an amazing partnership. The entire POCD team is obsessive about our products and customers, so you can expect the best when you deal with us – just ask any one of the over 8,500 companies we work with!